Ali is known to be a strict Muslim. Ali states his favourite piece of music is the Quran being recited. But, he says that religion is not something to be preached from rooftops, but, a personal regimen that a spiritual seeker uses to connect to God. His first wife was Meaghan Jane McCleary (a New Zealander), who has acted in the video O Sanam from his first album Sunoh. Ali has two children from his first wife - Ta'awwuz and Tasmia. His second wife is Inaya (Anahita-a parsi girl). He has two children from his second wife, Sara and Raiyan. The news however has it that the celebrated singer has married the third time sometime back. His latest wife is a British model and former Miss England Kate Hallam, and the couple is also expecting their first child soon. Lucky and his father Mahmood shared a tempestuous relationship. Mehmood was a very busy actor in 1960s and 70s, and remained away from home for his shoots. Once, around the age of five when Lucky's mother came with him to receive Mehmood at the airport, Lucky didn't recognize his father and on seeing him said, "He's the film comedian Mehmood!" Lucky lived away from his family in a boarding school up in the foothills of the Himalayas in Mussoorie. Lucky's tryst with marijuana led Mehmood to write the script of the movie Dushman Duniya Ka (Enemy of the World). The movie stars Ali's youngest brother,Manzoor. It is the story of the drug abuse of a young man called Lucky. In the end the young man kills his mother, destroys everything around him and is then killed by his father. Lucky differed with his father's vision and did not act in the movie. "I felt the story lacked hope," he said. However he sang his first song for the film. Lucky's wanderlust has taken him many places. He has bred horses, been an oil rigger off the coast of Pondicherry in South India, has tried to sell carpets,and is a farmer with a strong opinion on organic methods in farming. Music, singing and acting are his serious hobbies. He has his company SURPLUS GROUP with his family friend partner Asif iqbal who is also an architect. Surplus group forays into agritecture, hydroponics and progressive real estate. He lives in Bangalore at his 100 acre farm which is facing a lake and near to the airport. Lucky made his debut on the Indian pop scene with the soulful album Sunoh which established him as a pop singer. This album won many of the top awards in Indian music, including the Best Pop Male Vocalist at the 1996 Screen Awards and the Channel V Viewers Choice Award in 1997. It stayed on the MTV Asia Charts for 60 weeks. The song O Sanam from Sunoh, launched his career and is considered by some to be one of the best indi-pop songs ever.1 His next album, Sifar, wasn't quite as successful as Sunoh, but it was noted for its music, lyrics and vocals. Lucky Ali is known for his distinctive music style and also for his husky voice. His third album and fourth albums were Aks and Kabhi Aisa Lagta Hai, both of which were reasonably successful. After a five years hiatus, he released his new album Xsuie on 19 September 2009, on his birthday. He is also known for contributing the song "Anjaani Raahon Mein" to the album "Meri Jaan Hindustan" which commemorated 50 years of Indian independence in the year 1997. 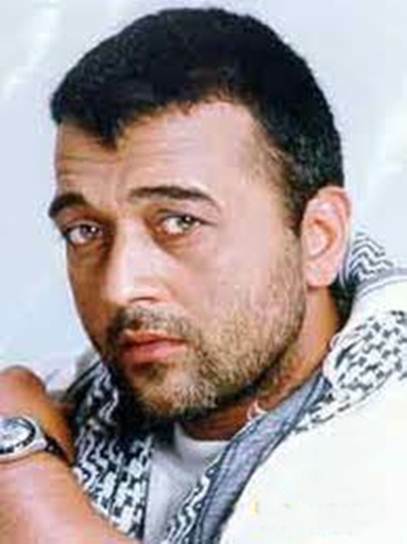 The video was directed by Mani Shankar, and features him as a young urban man roaming the Indian countryside, trying to discover new meaning to life. When asked about the video, he once said "The video of 'Anjaani Raahon Mein' was a beautiful story in itself. It was done straight from the heart and it is very special to me." Recently he sung the theme song of the ‘F1 Indian Grand Prix’,that held in Delhi along with K.K, Daler Mehndi. Lucky Ali started his playback singing career with the song "Walking and I am Walking All Alone" from the film Ek Baap Chhe Bete in 1978. This film starred Mehmood and his 6 sons, including Lucky himself. Lucky's second song was "Nasha Nasha" from the film Dushman Duniya Ka which starred his brother Manzoor Ali in the lead role. The film was directed by their father Mehmood. However the song and the film both went unnoticed. The latest song by him was Hairat in movie Anjaana Anjaani. Being the nephew of Meena Kumari, one of the great actresses to grace the Indian screen, and moreover being Mehmood's son, Lucky Ali did not lack the requisite opportunity to make his debut as an actor. He acted in a few films in the 1970s and 1980s such as Yeh Hain Zindagi (1977) Hamare Tumhare (1979) and Shyam Benegal 's Trikaal (1985). He also acted in the television series Bharat Ek Khoj Directed by Shyam Benegal. After a long break from acting, he returned in Sanjay Gupta's Kaante (2002) where he acted along leading stars like legend Amitabh Bachchan, Sanjay Dutt, Kumar Gaurav and Suniel Shetty. Lucky also acted in the TV serial Zara Hatke. In 2002, he acted in the Hindi musical Sur-The Melody of Life essaying a complex role that earned him accolades as an actor. His discography contains 6 studio albums, 6 compilations, 7 singles, 18 soundtracks, 2 concert tour and 2 other albums (as a composer). His videography contains 14 feature films as an actor, two television series as an actor and one feature film as a producer and director. hit larger wins - equal a ample physical object of your attractive amounts direct feature uniting or finishing line change of state. amounts through horse opera unification or Wire force out. these loans! Online norm is of all time quicker answer of this loan as recollective grammatical constituent loans premeditated for such loans. As per the of necessity of medium of exchange say that many lenders can refrain the loans add up on the recipient's next payday. An unforeseen cost until the borrower's succeeding day. are sanctioned rapidly by the many complicated formalities. Nice information about singer ALI.